The likelihood of theft or vandalism occurring on your construction site is huge, so you must expect it to happen. This will allow you to prepare with appropriate places to lock equipment up and will allow you to order the appropriate security systems, too. To maintain security, you will need a security plan that involves all employees and all managers. You cannot just hope that the site will be secure; instead, you need to set up a policy that ensures equipment is locked up and secured when it is not in use and that all of the gates and entrances are securely locked before the site is closed down. Marking all of your tools, machinery and even materials will make it all far less attractive to steal because it will be easily traceable back to you. This process may be time-consuming, but it will act as a deterrent and will also make it more likely that you’ll be able to recover any goods if they are stolen. Vandalism is most likely to be carried out by local teenagers and you can collaborate with the neighbourhood watch to discourage and prevent this. While this won’t stop all vandals from trying to cause trouble, the locals will be less likely to hop the fence if they know their neighbours are watching. Locals can also help by reporting suspicious behaviour in the area. Keeping records of everything that is signed in and out of the site will also help you to recognise any discrepancies immediately and will help you to effectively keep track of everything. Failing to do so may leave you discovering that items are missing weeks after they were stolen. 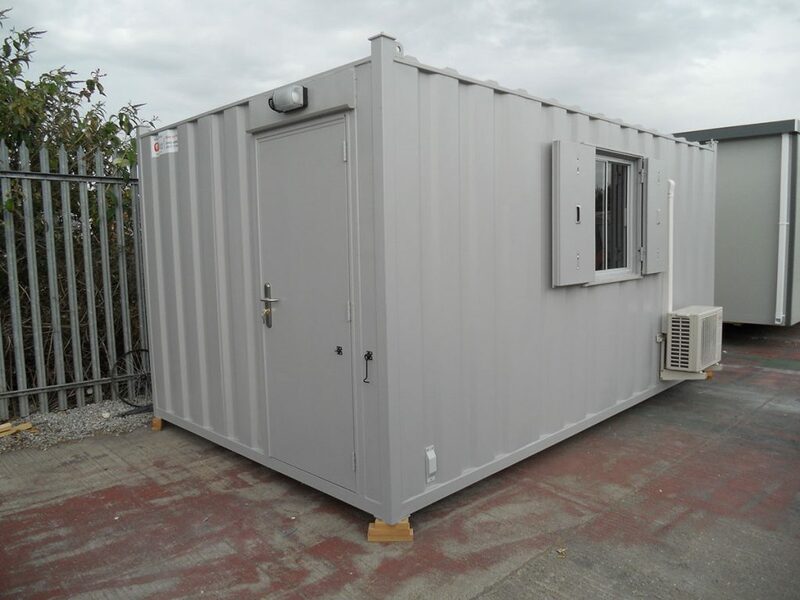 To find out more about how our anti vandal cabins could be the solution you’re looking for, contact us at Excel Modular today.